Maintenance Services Direct has many maintenance & Repair services to help our customers prepare for winter. During the winter months we have extreme of weather that test even the very best. ALL of our services are provided throughout the winter months to Domestic, Industrial and Commercial clients alike and don’t forget we operate 24 Hrs a day 365 days a year. 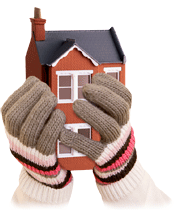 It is normal to leave things during the winter months and go into hibernation but the true fact is that during this period it is vital to carry out maintenance & repair to ensure things are in tip top condition at all times and to help ensure that no damage is incurred to buildings, electrics, plant, machinery and much more. If you require any maintenance or repair services, don’t put it off until the spring please give us a shout.